In the 1970s and ’80s, Sir Clive Sinclair was a veritable giant in the fields of electronics and computing. He was knighted in 1983 for his technological innovations, including the first pocket calculator and Britain’s first mass-produced personal computer to be sold for under £100. 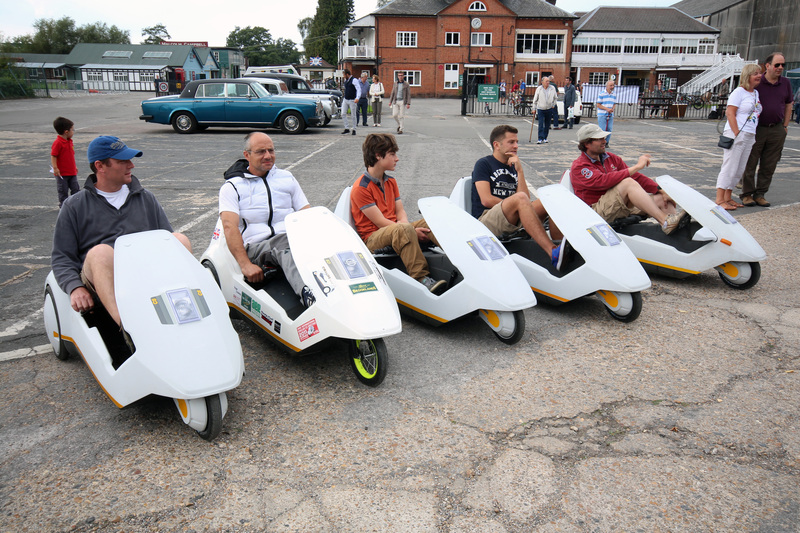 But the invention that he is be best known for—at least in some circles—happens to be one of the least commercially successful products of all time: the Sinclair C5. In the early ’80s, Sinclair turned his eye from transistors and computers to the highways and roundabouts of Britain’s congested roadways. On those roads, he saw potential—potential for reduced traffic, less pollution, and greater access to personal transportation for everyone. All of this could be had for the low, low price of £399.00 (about a tenth of the cost of an average car at the time). 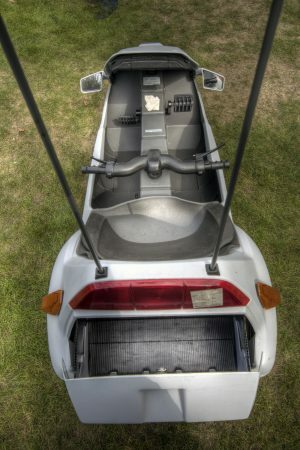 The C5 was a three-wheeled, battery-assisted, recumbent tricycle that Sinclair hoped would drastically reduce the need for cars. He also hoped cyclists would be drawn to its combination of pedal power and motorized capability. It weighed roughly 100 pounds, sat only inches off the ground, and had handlebars located under the thighs of the rider. It couldn’t reverse, only seated one, and had a tiny trunk. It was a pretty terrible design. Despite its drawbacks, Sinclair hoped the public would be drawn to the C5’s low energy costs (the original ad claims one penny can take you five miles). He also hoped the lack of polluting exhaust would make this an ideal vehicle for environmentalists and penny-pinchers alike, but that wasn’t the case. 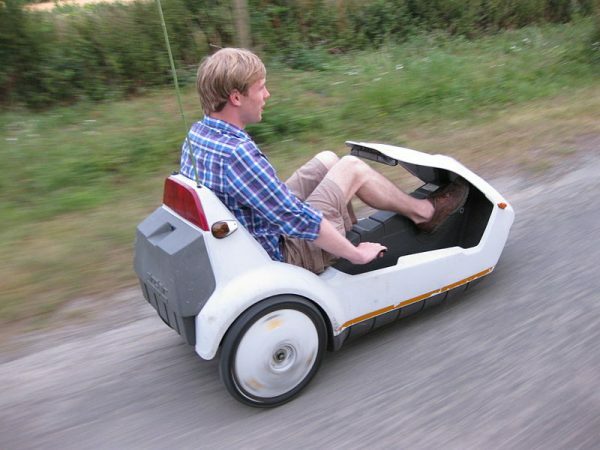 In January, 1985, the Sinclair C5 was released to the public…to a response of resounding disappointment and ridicule. In an effort to create something that just about anyone could drive, that a large swath of the population could afford, that would attract cyclists as well as motorists, Sinclair created a product so full of compromises that it pleased hardly anyone. Because of laws at the time, vehicles that maxed out at 15 miles per hour were exempt from road tax, didn’t require insurance or a driver’s license, and people as young as 14 were allowed to take it on the road. So the C5 was designed to max out at 15 mph—which meant when the rider was going uphill, they may have reached half that speed if they were lucky. And pedaling. And skinny. The C5 also posed huge safety risks. Its proximity to the ground made it difficult for other motorists to see. It had no airbags, minimal enclosure, and suffered the instability of balancing on three wheels (made worse by the fact that the single wheel was in front). Furthermore, the battery only had enough power to travel about 20 miles. So if someone planned on driving more than ten miles in one direction, they would have carry the appropriate charger, bring an extra 30-pound battery, or pedal the 100-pound vehicle home. 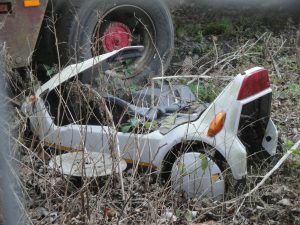 Despite a series of slap-dash fixes—like metal wires topped with a reflective flag to help with visibility issues, a semi-attachable raincoat to make it viable in England’s rainy weather, and selling free-standing spare batteries to increase the travel range of the vehicle—the C5 was a complete flop. Estimates vary, but reports suggest that anywhere from 9,000 to 17,000 C5s were created in the several months the company remained afloat—with maybe half of those actually sold to consumers. 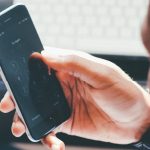 The company behind them them, Sinclair Vehicles, went into receivership and was liquidated within months of the release. Nowadays, though, the C5 has become a coveted collector’s item, with entire forums and community boards dedicated to chatting about, fixing up, and modifying this vintage vehicle. Some people have gone as far as to install jet engines to propel their C5 or outfitting a C5 body with monster truck wheels. 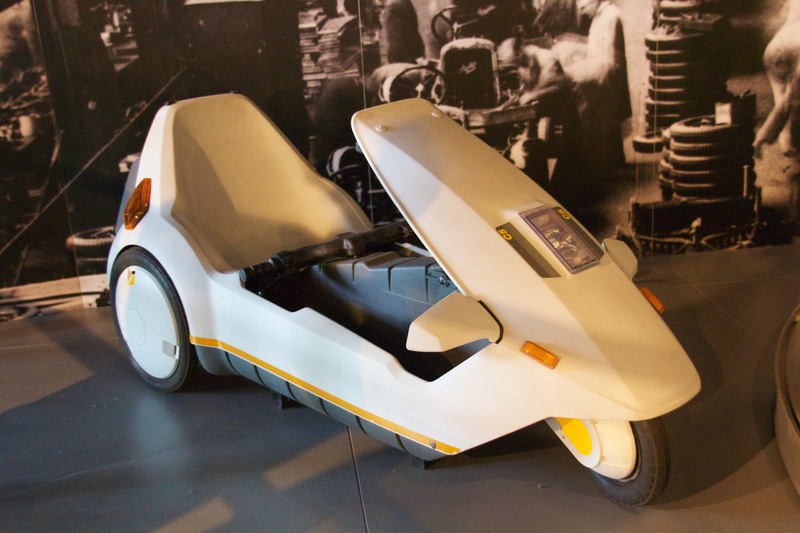 The C5 was hardly the first electric vehicle, or even the first vehicle to come on three wheels. 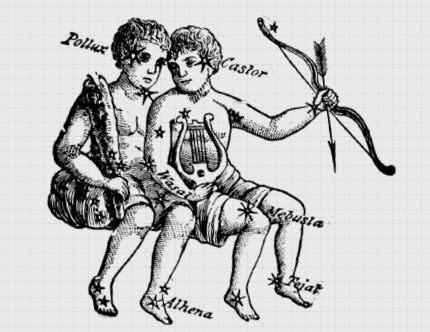 But what set it apart was Sinclair’s vision. It seemed he truly believed in the C5’s ability to completely revolutionize the transportation industry. It’s easy to sit back and laugh at this vehicle from our privileged positions in the future, but it’s not so difficult to imagine things going very differently for the C5 had there been a few tweaks in its design, marketing, and timing of its release. An integral part of the design strategy was that the vehicle should run on electricity, but during the ‘80s batteries were insanely heavy and bulky. 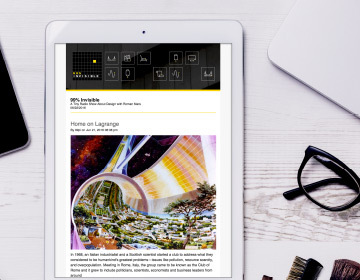 With the advent of lithium-ion batteries, which are much lighter and last longer than lead-acid batteries, car companies such as Nissan and Chevy and Tesla (among others) see a definite market for fully-electric cars. And people seem to be buying them. Now there’s another vehicle seeking to enter the market that bears an even greater resemblance to the C5 (despite being powered by gasoline). It’s a tiny, three-wheeled vehicle made by a company called Elio Motors. With today’s technology, Elio’s cars—motorcycles, technically—may be more poised to make that vision a reality (although talk of new regulations may slow them down). 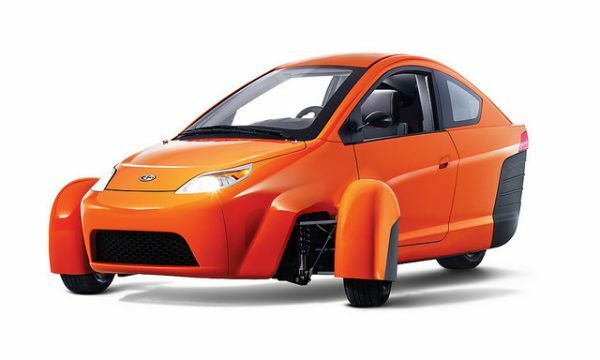 Unlike the C5, the Elio will come with two wheels in the front to increase stability, airbags, seat-belts, an enclosed seating area for two, and are projected to reach up to 84 miles per gallon…they will also probably be able to reverse. Clearly the idea of an affordable, small, customizable, eco-friendly vehicle has traction to this day. 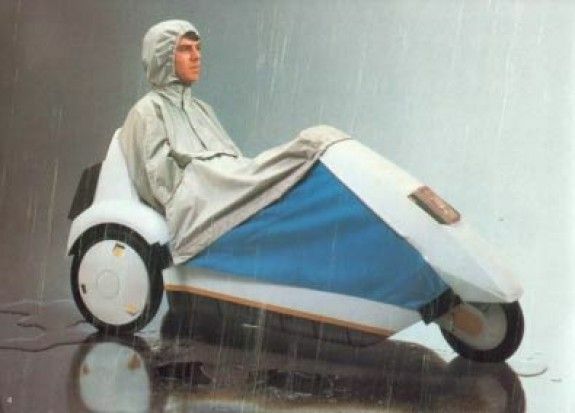 But, who knows, maybe if technology had been just a bit better when the C5 came out, the announcement of Elio’s new three-wheeled vehicle wouldn’t be news at all. 84 miles per gallon of what, exactly? Is that just the rough estimate price-equivalent to a gas car? It all kind of reminds me of the Segway. “IT” was going to change the world. I remember the C5. I wanted one. I had one of Sir Clive’s computers, The ZX SPECTRUM, and on the strength of that I yearned for a C5. There was then a rumour at school. Someone had one. Some kids went to see it after school. By all accounts it was a bit of a flop. They watched it try and climb a steep local Hill, Westfield Lane, as I recall. It ground to a halt less than halfway up.